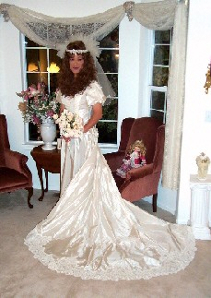 Every woman has dreams of being a beautiful bride at her wedding...all eyes on her as she walks down the aisle, resplendent in a long white gown, to join together with her love and be celebrated by one and all! 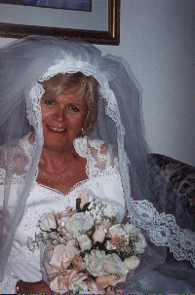 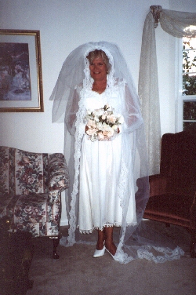 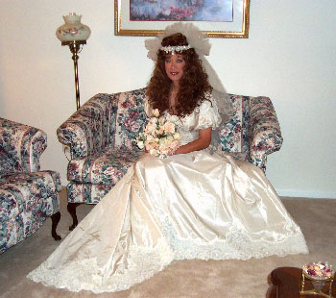 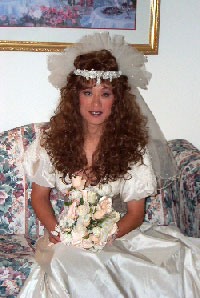 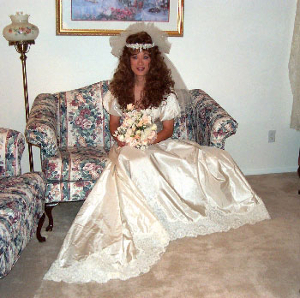 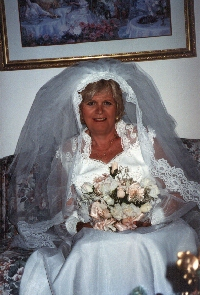 Whether you want to be ready for your actual wedding, or just live out your fantasy to look like a bride and have pictures taken, Phyllis can help you! 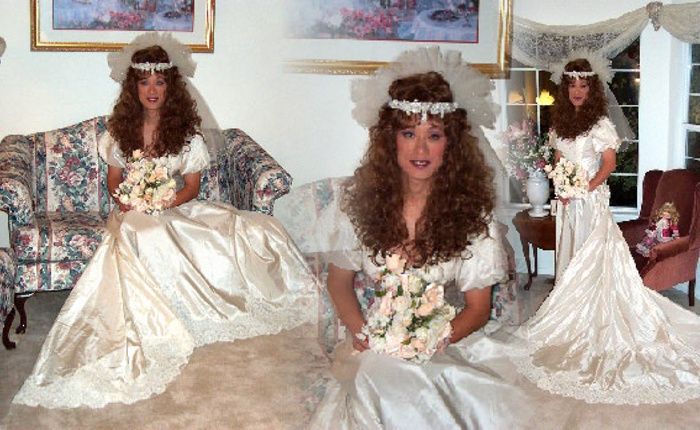 She has rental gowns and other accessories in stock so you can look the part, in addition to her makeover services, wigs, and whatever else you need! 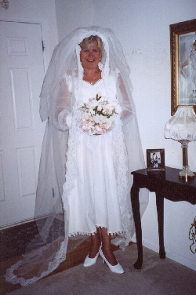 Check out some of Phyllis' happy brides below!